Hello again techies and social studies experts! I’m sorry, I assume those are the only two kinds of people who would enjoy these posts 😉 Regardless, I love doing them, mainly because it gives me a chance to exercise a little critical thinking when it comes to some of the most popular franchises of science fiction. And today, I thought I’d tackle the bid baddy of classic sci-fi, Mr. Frank Herbert himself. Whereas most writers in this expansive genre tend to take a highly positive or negative view, Herbert distinguished himself by being highly subtle, ambiguous and multilayered in his approach. Far from saying technology would save humanity, or condemn it, he seemed to be arguing that it really wouldn’t alter our basic makeup and behavior. That, presumably, would only come with thousands of years of natural evolution, selective breeding and funky narcotics! Their last known use occurred on Selusa Secundus many years before the events of the first novel. It was here that a rogue house employed several in an attempt to destroy House Corrin. The attempt failed and the house was eradicated, their name erased from history. Unfortunately, Selusa Secundus was left a radioactive ruin, hence why it was converted to serve as the Emperor’s prison planet. However, one type of nuclear device is still legal under the Great Convention. Known as a Stone Burner, these devices emit powerful J-radiation that destroys eye-tissue, rendering everyone in the blast vicinity blind. However, their primary function is to burn through a planet’s crust. 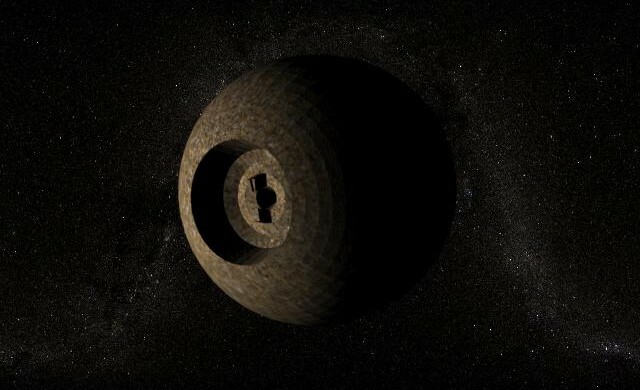 If they are powerful enough, they are able to burn clean through to a planet’s core and destroy them planet from within. Though widely used in the Dune universe, axlotl technology is also one of its most mysterious. A trade secret of the Tleilaxu, an axlotl tank is a “device for reproducing a living human being from the cells of a cadaver,” resulting in what is known as a ghola. 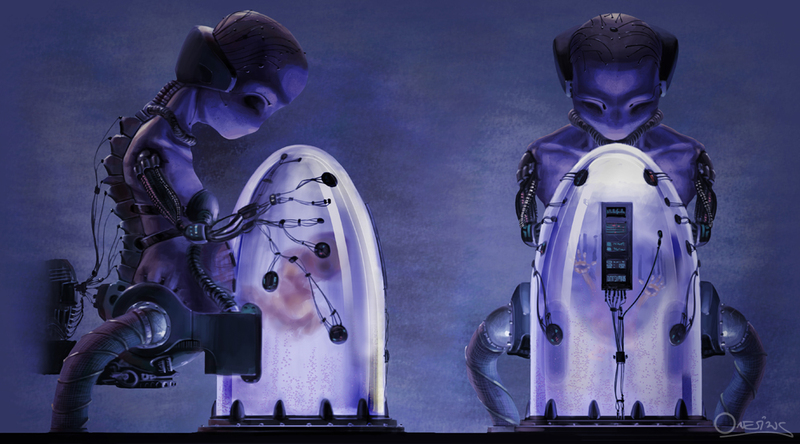 In addition, the Tleilaxu Masters use these tanks in order to produce clones of themselves and keep their line going. As the series progresses, axlotl tanks began being used to produce the spice melange, which had previously only been available on Arrakis. In time, it was also revealed that axlotl tanks were in fact Tleilaxu females, women whose bodies had been converted to grow gholas, clones and spice inside their wombs. The principal means of interstellar transport in the Dune universe, a heighliner is a Guild ship that is capable of transporting massive amounts of people and cargo. Powered by the Holtzman Drive (see below) the ship is capable of “folding space” – jumping from one point in space-time to the next – instantaneously. Each Guild Heighliner comes with its own navigator, a Guild mutant who uses their semi-prescient abilities to see through space and time to chart a safe rout for the ship to fly. The navigators do all this from inside their giant tanks where they remain immersed in spice gas. This is the technology that allows Guild Heighliners to fold space, thus traveling instantaneously form one point in the universe to another. 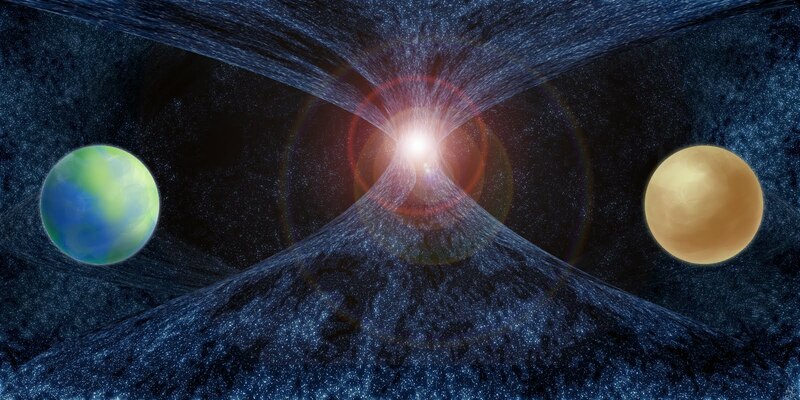 Using what is known as the “Holtzman Effect”, the same phenomena that powers personal shields as well as the catastrophic effect when one comes into contact with the beam of a lasgun. Though it is never explained in detail, some hints are given throughout the series as to what principles of physics may be involved. 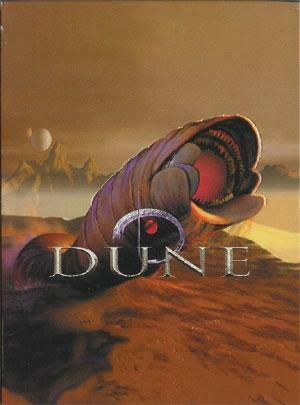 For example, in Chapterhouse: Dune, an allusion was made to tachyon particles, the theoretical particle that can presumably travel faster than light. continuous-wave laser projector. Its use as a weapon is limited in a field-generator-shield culture because of the explosive pyrotechnics (technically, subatomic fusion) created when its beam intersects a shield. At one time, these directed energy weapons were the mainstay of Imperial armed forces. However, the development of shields meant that their use had to become more selective. Mounted on ships, ornithopters, and carried by infantry, lasguns remain a highly effective weapon, capable of cutting through any material. 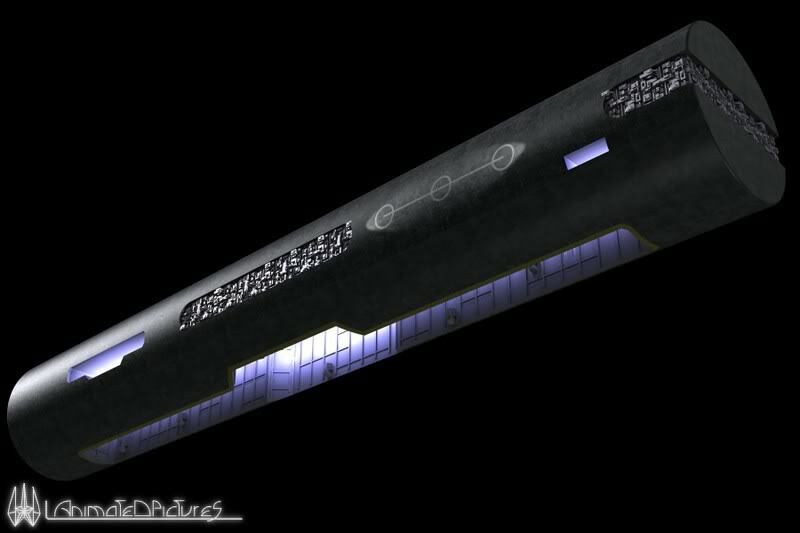 This technology was first mentioned in God Emperor of Dune and took the form of a No-Chamber. This Ixian invention was basically a chamber that was cloaked in a stealth field which blocked it from prescient vision as well as more conventional means of detection. After the death of Leto II, this technology was expanded to include No-Ships and even No-Globes. The former were basically heighliners which were equipped with no-fields and the Ixian machine which did the job of a Guild Navigator. In essence, these ships were not only sheilded from prescient vision, but were invisible to sensors and even the naked eye. No-Globes were an even larger version of the technology, capable of covering an entire planet in a no-field and rendering it both invisible to prescience, invisible to the naked eye and undetectable. However, in Heretics of Dune and Chapterhouse: Dune, it is suggested that those of Atreides ancestry are capable of seeing through no-fields. This proved to be the case when Miles Teg was awakened to his abilities after being examined with an Ixian T-probe. His ghola also had this ability once he was awakened to his past memories. 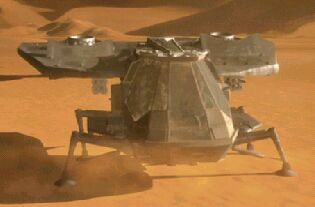 In the Dune universe, ornithopters (or ‘thopters) are the principle means of planetary transportation. Combining jet thrusters with articulated wings, the thopter is capable of vertical takeoff and landing, making it one of the most versatile flying machines ever invented. Though most are used for commercial and personnel transport, thopters are also capable of being militarized, and often are. Armed missiles, bombs, lasguns, and even shields, they are most effective when used in an assault and/or supporting role. The Terminology of the Imperium defines them as follows: the protective field produced by a Holtzman generator. This field derives from Phase One of the suspensor-nullification effect. A shield will permit entry only to objects moving at slow speeds (depending on setting, this speed ranges from six to nine centimeters per second) and can be shorted out only by a shire-sized electric field. While these shields can be mounted on aircraft, vehicles and even large structures, the most common use is in the form of personal shielding units. These are worn by infantry for battle or for the sake of combat training in order to prevent serious injury. The introduction of this technology to the battlefield had a regressionary effect on warfare in that it forced troops to largely abandon energy and ballistic weapons in favor of hand to hand combat. 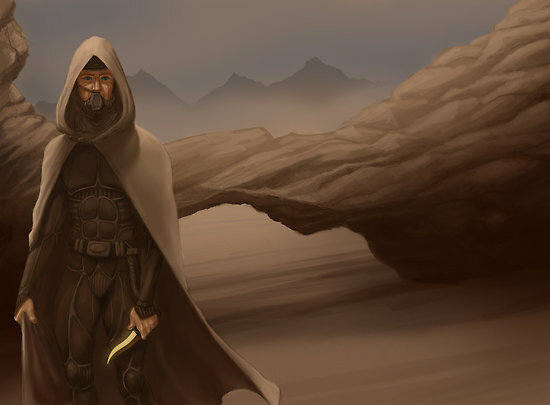 Hence why swords and knives are commonly used in the Dune universe. The trade secret of the Fremen! Stillsuits, as the name suggests, are a water reclamation and purification system that are worn by the desert-dwelling nomads whenever they are out on the sand dunes. Powered by the motion of it’s user, which includes foot-pumps mounted in the suit’s heels, the system turns all water loss – perspiration, urination, even feces – into usable water which they can draw from a tube near their mouth. After the Bulterian Jihad, the Great Convention established that no thinking machines or anything resembling them would ever be created again. As Leto II remarked in GEOD: “The target of the Jihad was a machine-attitude as much as the machines… Humans had set those machines to usurp our sense of beauty, our necessary selfdom out of which we make living judgments.” In short, the purpose of the Great Convention was not just to ban AI’s but the very mentality that had created them. Thenceforth, the very concept of industrial dependence was to be banned. And as Duncan Idaho later observed, such an economy was the basis for unlimited consumption and growing social equality. This ideal, borne of the Industrial Revolution, was also the cause of social chaos and the eventual rise of AI’s. By banning these and the system that ensured their creation, humanity was effectively going back to a time where feudal control by a small group of barons was basically necessary. The Great Convention also forbade the use of atomics. This meant that war had to be conventional from now on. The advent of shields also meant that energy weapons were no longer advisable, which meant that soldiers were further forced to adapt to conventional means of fighting – i.e. hand to hand combat. Swords, knives, and slow-pellet stunners were now mainstays of modern warfare, not by choice, but by necessity. All of this leads to conclude that Frank Herbert was a freaking genius, or at least possessed a very complicated intellect. Whereas most science fiction and speculative writers tend to take a positive or negative view of technology, he preferred to take a very historic and ambiguous view of it. Setting his story in the distant future, one would immediately get the impression that humanity would be so highly evolved that it no longer resembled humanity of today. However, Frank showed us a universe where humans were not only very much like they are today but also retained elements from our past. Much like the world of today, people are dependent on a single resource, are subject to petty rivalries, and a morally dubious system. But like the world of yesteryear, they are ruled by dukes, barons, emperors, and a system of entitlement and gross privilege and view democracy as a threatening sham. One can only assume that Frank was making the point that human nature will not change as a result of technological innovation or space travel. Sure, AI’s and cybernetics might emerge down the road, giving humanity the ability to enhance their bodies and thought processes. But Frank’s take on this was that humans would naturally revolt against these once they came to the conclusion that they were needlessly complicated people’s lives. So in the end, the only way out of being human was to create “mature humanity” as the Bene Gesserit said. This consisted of selective breeding and organic enhancement, relentlessly training people to strengthen their minds, bodies, and unlock the mysteries of the brain, eventually culminating in a person who could not only access their genetic memory, but merge space and time in their own mind. Interesting… and freaky! Well, my mind is blown and I got nothing more to say. Stay tuned for something else, assuming I can overcome the effects of venturing into Frank’s head space. Man, it’s weird and awesome in there, kind of like a spice trance! The Future is Here: Rail Guns! The Stillsuit is so practical, but so gross! Returning to an antiquated form of government (Feudalism) instead of inventing new ones is one mark against their thought process. Oligarchy IS the form of mentality that led to thinking machines and A.I. dependency, even in the real world as we are now seeing. Not according to Frank Herbert. It was through Duncan Idaho that he explained in Children of Dune that it was the idea of machine production, which resulted in social chaos because it multiplied the number of goods available to people, thus destroying any basis for aristocracy. This, inevitably, is what gave rise to thinking machines because they were the natural fulfillment of entrusting all things to automation. The reason they reverted to feudalism in the Dune universe was because they not only destroyed the thinking machines, but the very machine mentality on which it was based. Without automation, the majority of humans were forced to do their own physical labor and drudgery, thus giving rise to aristocracy. And in truth, oligarchy is doomed by the existence of AI and other technologies that are associated with the Singularity and promise a future of abundance. As George Orwell said “if at once it became general, wealth would confer no distinction”.